I watched another TED video by Adam Savage. You know the guy from Myth Buster; not the one in the beret, the other one. He was talking about how simple ideas have led to profound scientific discoveries. Do you know how Eratosthenes’ calculated the Earth’s circumference without the help of powerful computers? Do you know how Hippolyte Fizeau measured the speed of light using a toothed wheel, a light source and a mirror? This informative video is 7:32 minutes long and holds the answers to these questions. I would encourage you to watch it. Basically Adam’s message is that by only using our senses and minds we can come up with simple ideas to make the world a better place. Do you believe in coincidences? Or do you believe somehow everything that happens is meant to happen that way. Either way on the same day I came across another interesting video of the CBS news show 60 Minutes. 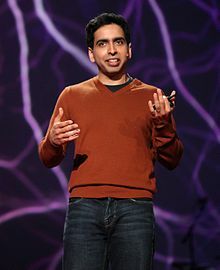 The title of the show was “Khan Academy: The future of education?” The video portrayed how a simple idea is revolutionising education and the role of teachers worldwide. Who is behind Khan Academy? Sal Kahn has 3 degrees from MIT and an MBA from Havard Business School. 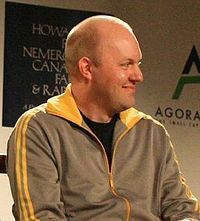 He started his career as a hedge fund analyst. He did not have a sudden vision to provide free education to all. In fact it started out as a simple idea to help his cousin, who was struggling with Mathematics in school. Since she did not live nearby, he decided to tutor her over the internet. Later when other relatives and friends approached him for his tutorials, he decided to post them on YouTube. This was when he discovered the real demand for the kind of tutorials he was producing. In 2009 he decided to quit his job and pursue a fulltime career producing tutorial videos for his YouTube channel. In 2010 Bill Gates revealed in an interview that his children were learning using the tutorials on Khan Academy. Later with his financial support, Sal Kahn was able to make Khan Academy even bigger. There is a new platform to host the videos and he has employees, working on continually improving Khan Academy. It is still a non-profit organisation and is dependent on the goodwill of others to donate or volunteer to translate the videos into other languages. To being with I am really impressed by the simplicity of his idea and how he has been able to help numerous students all over the world with it. I watched a couple of videos on algebra to judge for myself, why his tutorial style is widely appreciated. I have to say that had I seen these videos when I was in secondary school, I would not have failed my math exams. He explains the sense behind a topic, something I had missed in school. How is Khan Academy revolutionising the world of education? For starters, there are a couple of schools in America, which are testing out a new teaching model in collaboration with Khan Academy. Students are expected to go through the tutorials on a particular topic at home. The following day, students solve exercises on this topic in the classroom. The teacher can track real time how the students are progressing, how fast they complete a task and who is having problems. The teacher can then focus on helping those who require assistance. In other words, the learning takes place at home and the homework is done at school. The role of the teacher is more of mentor and coach. Furthermore Khan Academy helps students from poor families, who can’t afford a private tutor, or families where the parents are not able to help with their homework. The child can learn at his or her own phase by repeatedly learning a lesson as often as required. If the child still does not understand the topic, the teacher is there to help the following day. Even adults can benefit from Khan Academy. They can refresh their memories on a certain topic to help their children with schoolwork. It could help those, who dropped out of school, to possibly finish school and improve their academic qualifications. As a result, they could have better careers. In conclusion, Khan Academy shows how it is possible to tremendously help others with little effort. I am sure that Khan Academy has the potential to help millions of children and even adults all over the world. Neglected by evolution or man’s own doing? This is the final post on an unintentional series about ageing. I have written about immortality, the youth culture and the final act. Today’s post looks at Aubrey de Grey’s assertion that the first human beings to live to a 1000 years have already been born. The British researcher on gerontology claims that we need to develop treatments that repair the damage caused by ageing and thereby delaying pathology. Below you will find the video of his TED talk. However be warned that he talks really fast and packs a whole lot of information into 18 minutes. Basically Aubrey claims that ageing leads to pathology because of physical damages accumulating in our body. He identifies 7 areas where this damage occurs; Cell loss/atrophy, Death-resistant cell, Nuclear Mutations and Epimutations, Mt DNA mutations, Protein crosslinks, Junk inside cells and Junk outside cells. (These points were listed on a slide Aubrey used during the talk – 16th minute.) I need an encyclopaedia to make sense of some of these points. But the gist of it is metabolism damages our cellular structures, which culminates in death. Aubrey proposes that it is possible to repair the damage through treatments. He says that anti-ageing treatments would keep improving and treat people before they enter the certain death phase and thereby increasing their life duration century by century. As a result of these continuous treatment improvements it would be possible to reach a life span of a thousand years. However we need to invest in the research of such treatments immediately, if we want to experience longevity to this extent. In the Q&A session after the talk, Aubrey stressed that ageing is not the result of selection. In his opinion, evolution has neglected to find a way to resolve mortality because it would require too much energy and more sophisticated genes. In other words, if evolution were more hardworking we probably would be immortals by now. This brings me back to the topic of the Antediluvian Patriarchs. I probably would get to hear that the bible is a fictional work and thus not a fitting reference when trying to find answers to a scientific question. Since this is my post, we will stick to the assumption that the Antediluvian Patriarchs had existed. The last of this group, Noah, supposedly lived up to 950 years. Therefore according to the bible, men started out with life spans of almost 1000 years. However after Noah, the life span continually decreased until King Solomon only lived to be about 70 years old. According to WHO statistics from the year 2009 the median life expectancy is at 71 years. It would seem that human life expectancy has been constant for thousands of years. Why has the time we spend on earth shortened after Noah? It would appear that sin and men distancing themselves from God led to a drastic cleansing through the flood. Noah was the chosen one to start a new civilisation on earth. However this new world became tainted by sin too. Since I believe in the existence of God, I do not find it too farfetched to assume that God’s original creation had very sophisticated genes. However the quality of genes deteriorated overtime as a result of our indulgence in activities harmful to our physical wellbeing. Therefore I think it is plausible to undo these damages through advanced medical treatments. Do I think this is the right time to invest in such medical treatments? No. In my opinion, if such treatments were available now, it would only benefit the rich. After all, we have vaccinations for diseases that still kill thousands of children in the third world country. The reason for their death is lack of money, which bars their access to the medication. Thus you can imagine how it would be, if it were possible to live for centuries. It would be naive to assume that such treatments would be free of charge. Are you leaving behind a digital inheritance or a digital zombie? As I was researching for the post on the Facebook app, If I die, I came across a Ted talk by Adam Ostrow. His talk was titled: After your final status update. It is about his idea for the future of our digital inheritance. He pondered the possibility that all the digital content we create during our lifetime, could be used to create digital personas. These in turn can interact with the living even after our death. Click here to view the video. Here is a transcript excerpt of his talk that inspired me to write this post. But what if those robots were able to interact based on the unique characteristics of a specific person based on the hundreds of thousands of pieces of content that person produces in their lifetime? Finally, think back to this famous scene from election night 2008 back in the United States, where CNN beamed a live hologram of hip hop artist will.i.am into their studio for an interview with Anderson Cooper. What if we were able to use that same type of technology to beam a representation of our loved ones into our living rooms — interacting in a very lifelike way based on all the content they created while they were alive? I think that’s going to become completely possible as the amount of data we’re producing and technology’s ability to understand it both expand exponentially. Now in closing, I think what we all need to be thinking about is if we want that to become our reality — and if so, what it means for a definition of life and everything that comes after it. Do the contents we are creating accurately describe us? Adam mentions in his talk that on average of 200 million tweets are posted in a day and each user creates about 90 pieces of content on Facebook in a month. By the sounds of it, we are creating a lot of content. There should be enough input for some machine to analyse all the content we have created and generate a digital persona incorporating our interests and views. Theoretically this digital persona would create new content on its own and continue to interact with the world and no one might be the wiser for it. But how much of the content we are creating is new content and how much of it is forwarding content created by someone else? Of course you might argue that the act of forwarding in an indication of our interest. Is it really? Or do we think about what others would favour and post accordingly? Of all the videos uploaded on YouTube, what proportion are rip offs of TV series and movies and how many are original? (One user uploaded a video of a popular TV series and added the disclaimer “No copy right intended”. I wonder if the producers would agree with her. :-)) How about the YouTube stars? Is the image they are presenting really theirs or are they saying and doing stuff just to attract the clicks? How would their loved ones react, when this digital persona is brought to life? Would they feel as if they are communicating with someone they know or would they think that it is a stranger? Do I want this to be my reality? Two aspects come to mind when I consider this question. One aspect is would I want to “live” on after death, albeit in a digital form? A part of me says yes. Otherwise why do I blog? There are other ways I can improve my writing. Don’t we all feel the need to leave some kind of “legacy” behind? Leave something that would make others think of us after we are dead? What about all the photos we take and videos we make? Even having children could be seen as a way of keeping a part of our genes alive. It might sound narcissistic. But I think that human beings are somewhat narcissistic; some more than others. But would I want some algorithm to calculate what I would post, if I were alive and do it on my behalf? I don’t think so. I might want people to read what I had written but not what I might have written. The second aspect is would I want to digitally interact with a dead person? Every one deals with loss in a different way. In the movies, grieving people often watch home videos or photos showing the person, who passed away. Wouldn’t a hologram of the loved one sitting next to me and conversing with me- using words written by my loved one- be more satisfying? Wouldn’t it be great to get an answer to a question and the answer would be what your dad would have told you had he been alive? On a superficial level I would say yes. If I really think about it, I would have to answer with a No. Saying goodbye might be the hardest thing to do. But wouldn’t having a digital replica to hang on to only prolong the grieving period? The temptation might be great to hang on to an inanimate being; especially when we are feeling lonely and vulnerable. The movie Lars and the Real Girl comes to my mind. In the movie, shy and single Lars compensates his loneliness with a Real Girl doll. The whole village plays along, treating the doll like a real person and giving him the feeling that he is in a real relationship. Eventually he doesn’t need the doll and she dies from an “illness”, giving him the opportunity to meet a real girl. I think there is a danger of people withdrawing from reality and leading a life with a digital persona, if they feel alone. I do not want to get into a religious discussion here. I am Christian and my definition of life after death is different from those of other religions. I would like to sum up the points I made earlier though. In my opinion, if it possible to live digitally after death, we all might spend more thought over the contents we generate in the digital world. After all these contents would make up the “genetic” code of our digital being. From the perspective of the one living and interacting with a digital zombie, it could mess up the rest of our lives, if we become dependent on it and use it to delay dealing with the grief of losing a loved one. I would rather manually go through the posts, photos and videos instead of having a machine do it for me. I think it is a necessary process of dealing with death. On the other hand, to have a hologram repeating but not creating new content is a much comfortable way to do through the digital inheritance of a person than surfing through posts on the internet. Is Facebook shaping your online friendships?